Part of the Rho Agenda Inception series. EX-CIA assassin, Jack Gregory has been hired for a singular mission: to journey to South America and rescue an imprisoned shaman. Beloved by the struggling masses and feared by the ruling elite, shaman Tupac Inti is destined to unite Bolivia’s indigenous people and bring down the corrupt government. But Jack isn’t the only one trying to track down the shaman. For only Tupac knows the location of the immeasurably powerful Sun Staff, and both the National Security Agency and neo-Nazis are hot on his trail…and neither group plans to let him live. The clock is ticking, and Jack must find and rescue Tupac before more sinister forces get to the shaman first. When Jack comes face-to-face with his equal—a stunningly beautiful NSA agent—he wonders if he can still pull the trigger and save his mission…even if the decision costs him his very soul. 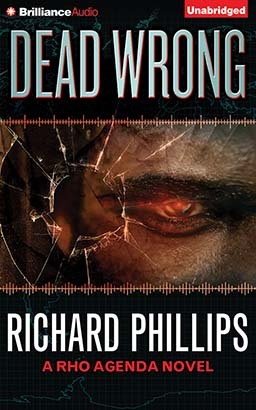 Ricard Phillips has once again kept me on the edge of my seat! Recommend highly!